When the mountains are where you want to go for your wedding, you might want to consider Colorado mountain wedding destinations. 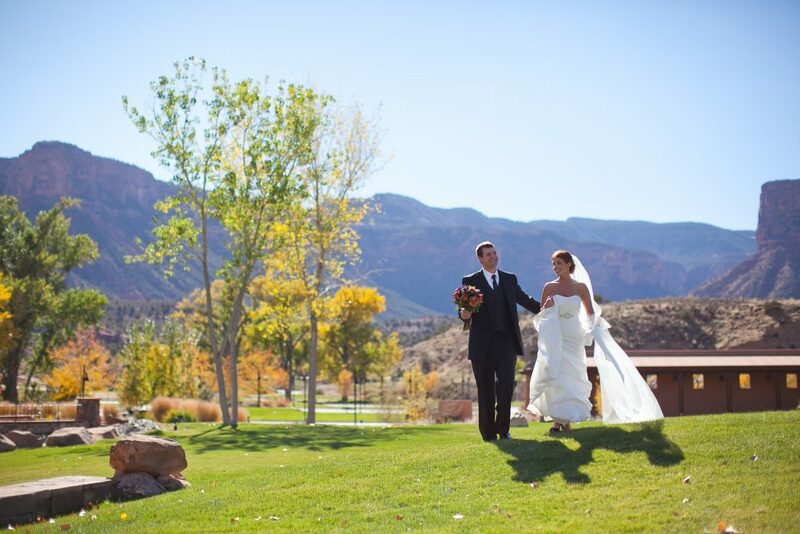 No matter what time of year, Colorado will deliver the perfect backdrop to your wedding. Not only are the Rockies a perfect backdrop for any size wedding, but they also provide plenty of recreation for letting go of stress before the big day. With plenty of places to ski or just to view a bit of nature’s glory, Colorado is certainly the place where weddings can become breathtaking events. From the mountains of Aspen to the slopes of Breckenridge to the runs Vail and into Golden, you have all the mountains you need to make sure your special day is a perfect day. The first place that comes to mind when considering Colorado mountain wedding destinations is Aspen. This sometimes celebrity filled town is one of the places where people like to spend their days skiing. With plenty of ski resorts and quaint hotels and accommodations, you can easily find a spot for your wedding to take place – with the whole family in tow. Aspen is also located in an easy to access location, so even family members who might have some difficulties with accessibility can arrive at the church on time. You might also want to head to Golden, Colorado where you can find vast trails from which to view the surrounding mountains. Though you might not want to climb to say your vows, this can work well for picture taking. And you can’t talk about Colorado mountain wedding destinations without taking about Vail, Colorado. This ski locale boasts the largest single mountain ski slopes in all of North America. With this kind of reputation, it’s no wonder more people head to Colorado for their vacations and to test out a new set of skis. Of course, these are harder runs to ski, so if you’re looking to get through your wedding ceremony without breaking a bone, you might want to simply have the mountains in the backgrounds of your pictures – and leave your skis at home. With Colorado mountain wedding destinations, you can taste a little adventure and a lot of beauty. Mountain weddings provide everyone who attends with a taste of nature and all of its beauty. And while it might compete with the new couple – nothing can compete with the love of a new marriage.